Take your pick from these five ultra-light colors. Natural brown is such an intuitive choice for Filipinas because of how well it complements Pinay skin tones. If your tresses are naturally on the darker side, this shade could give a revitalizing lift to your appearance. It’s never too early to sport sun-kissed hair, especially now that summer is approaching. Bronde (or brownish blonde) waves can frame your face beautifully, with the hint of gold giving your tresses subtle beachy highlights. Golden brown’s another great color you can sport, especially if your skin has cool undertones. Check the veins on your wrist: If they have a bluish or deep purple appearance, this hue should fit you to a T.
By the way, ash brown doesn’t mean ash-colored hair! On the contrary, you’ll get a smoky brown hue that’ll put the focus on your face. It’s a shade that looks great with any hairstyle, from luscious waves to choppy lobs. Honey brown looks just as sweet as it sounds. It’s a deep shade of brown that complements morena complexions. 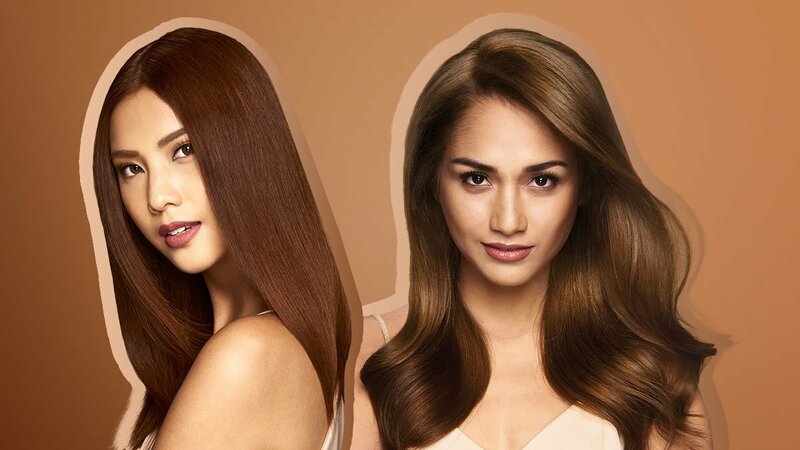 Here's some good news: You can achieve your dream ‘do without having to lighten your naturally dark hair, courtesy of the L’Oreal Excellence Fashion Ultra Lights hair color line. It can make your hair up to four times lighter, without the need for bleaching. #ColorWithConfidence in 2018, CGs! The L'Oréal Excellence Fashion Ultra Lights hair color line is available at all Watsons branches and leading L'Oréal beauty counters nationwide. You can also buy it online through Lazada. Follow L'Oréal Paris Philippines on Facebook to learn more.